Pick-up Locations - Come adventuring with us! Ok, so you're ready for your adventure! Now where's the bus? Take a look at the maps below to help you locate where the bus will be waiting for you. Now, what happens if you arrive and the bus is not there? This doesn't happen often, but sometimes we are delayed due to traffic or an issue at a prior pick-up location. If you arrive at the pick-up point and can't find the bus, just give us a call: 800-851-6018 and we will help you locate the bus. We use the passenger pick-up area in front of the station here. If coming from Metro trains or Amtrak, walk down the tunnel past the Amtrak ticket office and waiting area; as you exit the doors on Alameda Street, make a right. Walk about 100 feet to the passenger pick-up area with the white curb. If you've arrived by bus, walk through the tunnel and follow the directions above. 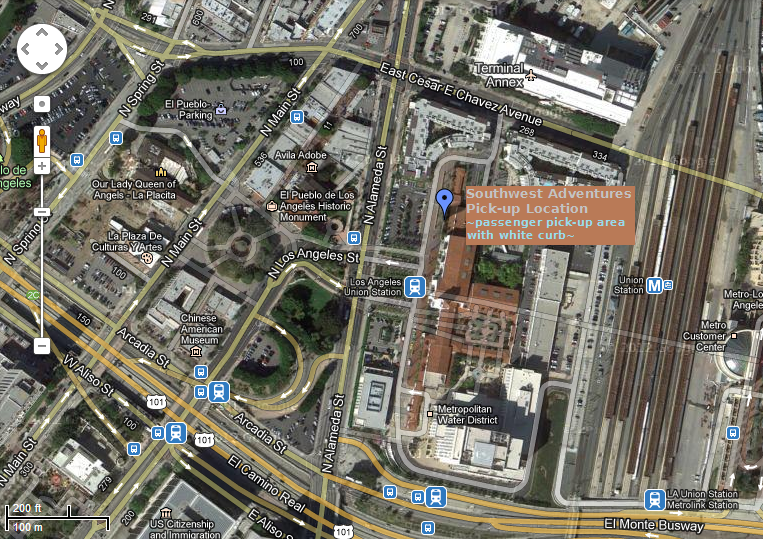 If you're driving to Union Station, paid parking is available across the street from the loading area. 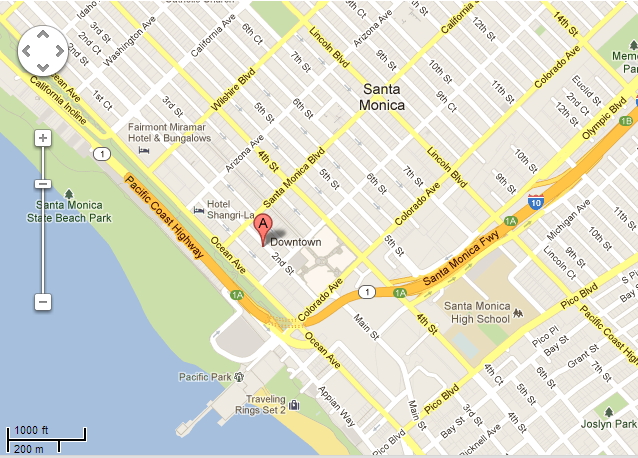 We pick-up directly in front of the hostel, in the yellow loading area near the cross-walk. Paid public parking is available across the street from the hostel.